Figurehead of Manchesters vibrant house and techno scene Jozef K has recently signed productions to Sashas flourishing label Last Night On Earth and also to the world renowned One Records. Despite his young age Jozef has many years of DJ experience at an international level, playing to thousands of people weekly under his residency at the voted number 1 club in the world Sankeys. Refusing to follow trends and crate-digging for obscure tracks has resulted in Jozef having an acclaimed and individual style, much to the interest of Radio 1, who interviewed Jozef on the subject. 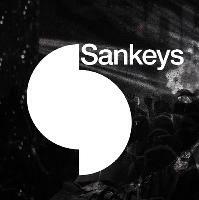 As well as his Sankeys shows Jozef is constantly touring across Europe. Jozef has also been showcasing a live 808 set with production partner Winter Son and the recording of their debut performance was selected as Resident Advisors mix of the day. The pairing are currently making an album.